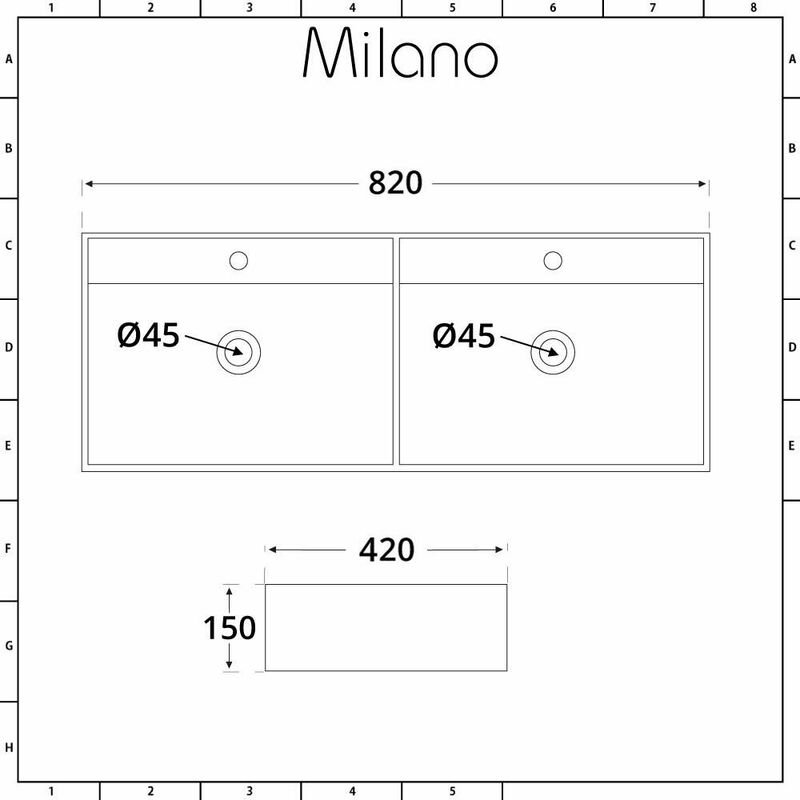 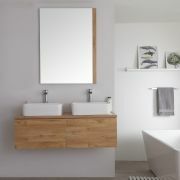 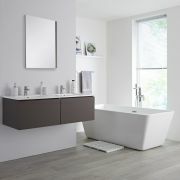 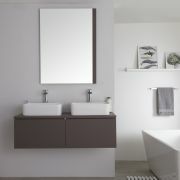 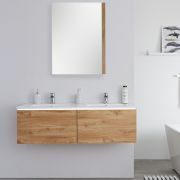 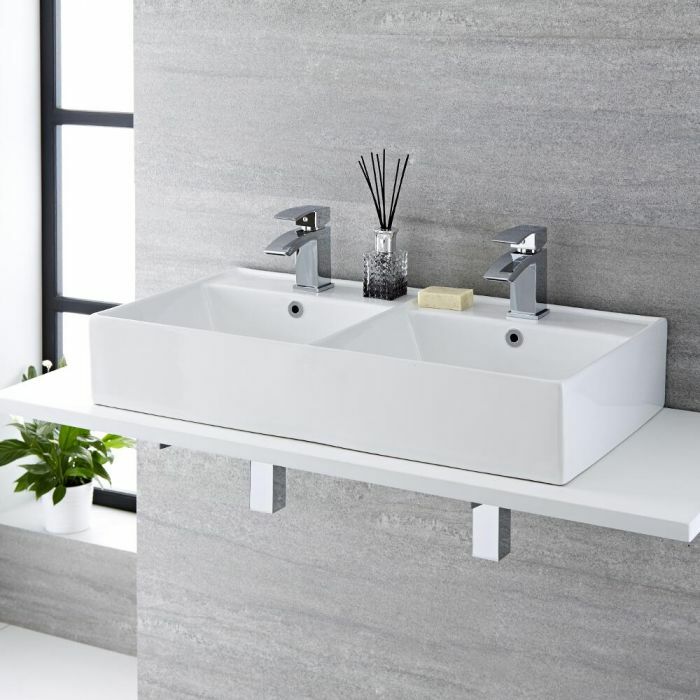 Combining contemporary style with superb functionality, the Milano Dalton 820mm double countertop basin is a great option for busy family bathrooms. 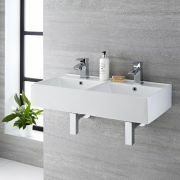 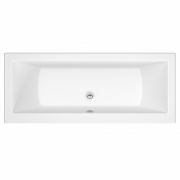 Featuring clean geometric lines and a hard-wearing white glazed finish that’s easy to clean, the Dalton double basin can be countertop or wall mounted to suit your bathroom design requirements. The double sink design creates a his-and-hers look and each one incorporates plenty of wash space. 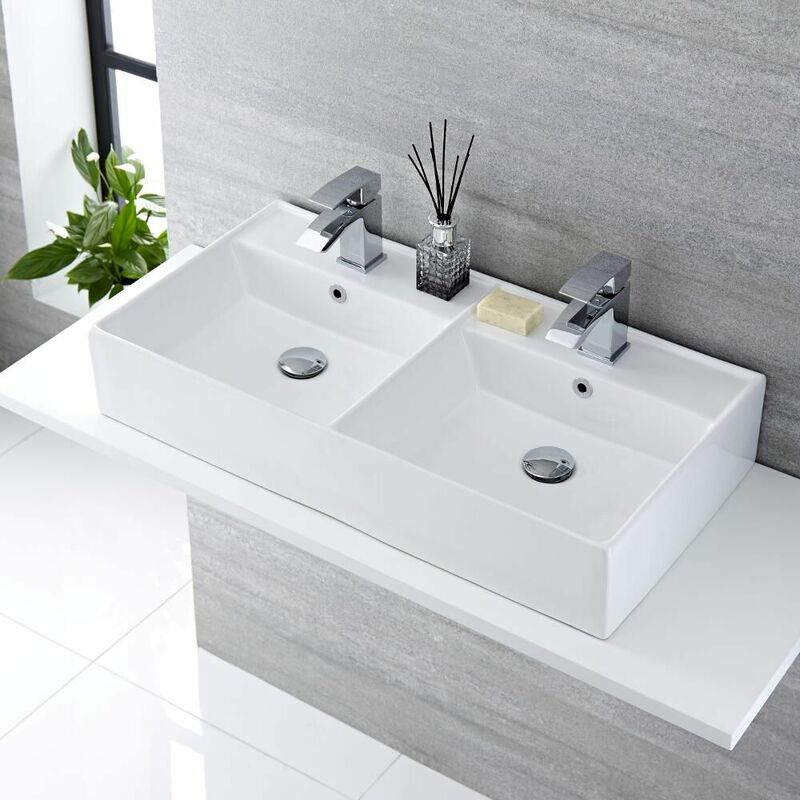 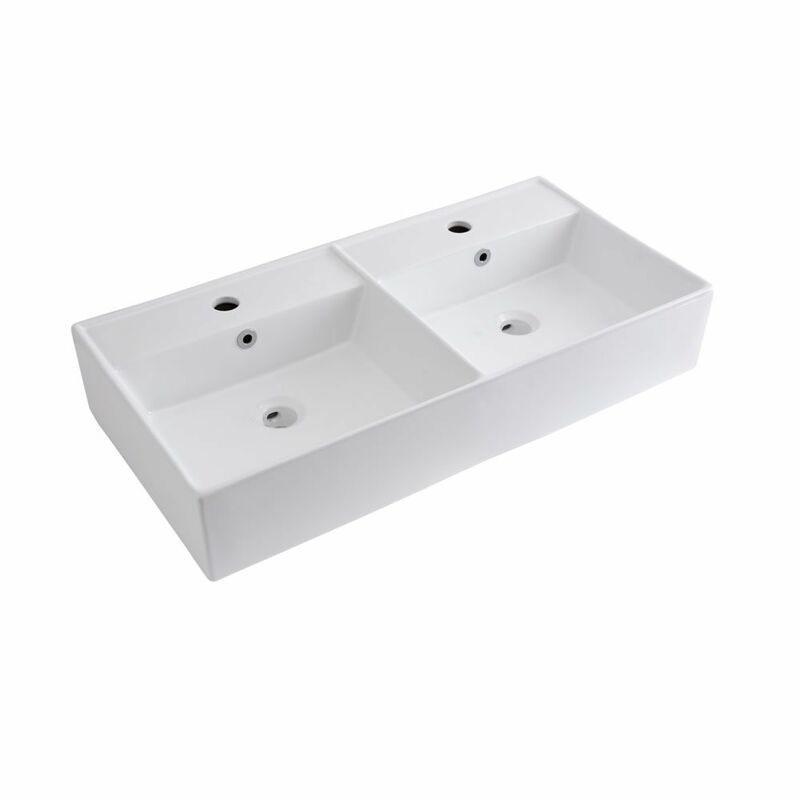 Each basin has a single tap-hole, so why not complete the look with one of our mono basin taps?